The VantagePoint Forex Weekly Outlook is designed to help traders. It’s important to remain aware of correlations in the global markets. Traders can become more profitable if they know how to get ahead of the trends. Utilizing the predictive indicators in VantagePoint Software can help traders find the right trades and the right times. Above all, traders know when to enter and exit those trades for maximum profit. Let’s look at the charts for the U.S. Dollar and the major pairs. 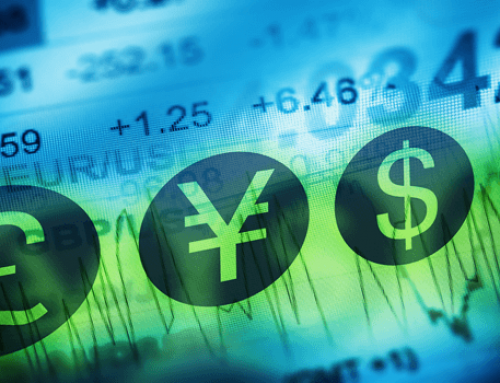 The U.S. Dollar Index is the backbone of forex trading. In addition, the bulk of the trades involves buying or selling the U.S. dollar. Understanding the movements of the individual market will greatly benefit forex traders as they will be able to better predict the movements of the pairs based on the IDX market movement. The Dollar has been under significant selling pressure after that unemployment number came out last week. With 6 down days in the dollar, we should start to see a bit of dollar buying to kick off the new month. What do the indicators say? The VantagePoint key level is at 95.564. In addition, the VantagePoint PRSI is at 39.4. The major pairs are where most Forex traders trade the market. In the Forex Weekly Outlook, we take a look at the most popular, therefore helping Forex Traders. We analyze price action, as well as news events and/or risk off scenarios. All those play a role in market movement. VantagePoint Software reviews the Forex Weekly Outlook each Monday. The VantagePoint key level is at 1.1419. In addition, the VantagePoint PRSI is at 69.8. The VantagePoint key level is at 0.9934. In addition, the VantagePoint PRSI is at 61.5. The VantagePoint key level is at 1.2996. In addition, the VantagePoint PRSI is at 60.3. The VantagePoint key level is at 109.41. In addition, the VantagePoint PRSI is at 62.3. The VantagePoint key level is at 1.3263. In addition, the VantagePoint PRSI is at 14.4. The VantagePoint key level is at 0.7225. In addition, the VantagePoint PRSI is at 69.1. The VantagePoint key level is at 0.6815. In addition, VantagePoint PRSI is at 72.3.